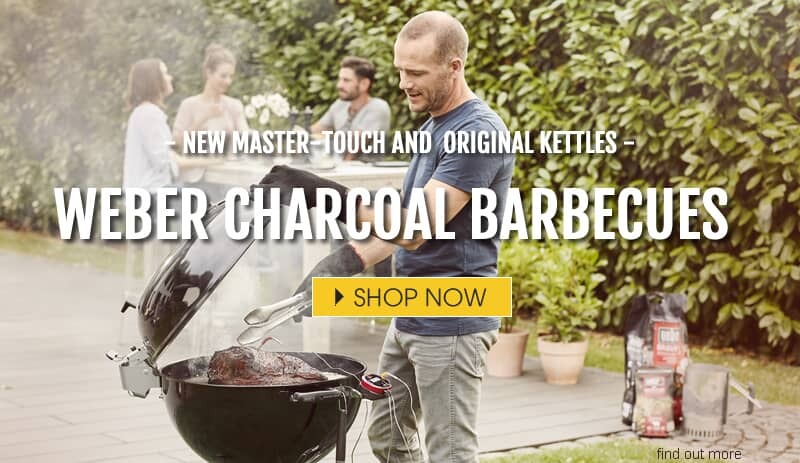 Welcome to BBQ World, the specialist website for Dawson's Department Store, where we introduce you to the world of premium barbecues. 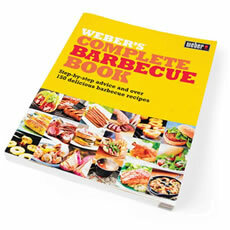 We only stock leading brands, such as Weber, Broil King, Outback, Grand Hall, Beefeater, Dancook and Napoleon. You can come and see our barbecues on display at our Clitheroe or Skipton store, where we can talk you through exactly what we have on offer or if you can't visit us, just give us a call with any questions you may have. There are prices to suit everyone at BBQ World and we regularly run sales where you could save tens or even hundreds of pounds on the RRP of a barbecue and BBQ equipment, so keep checking our site for seasonal bargains. 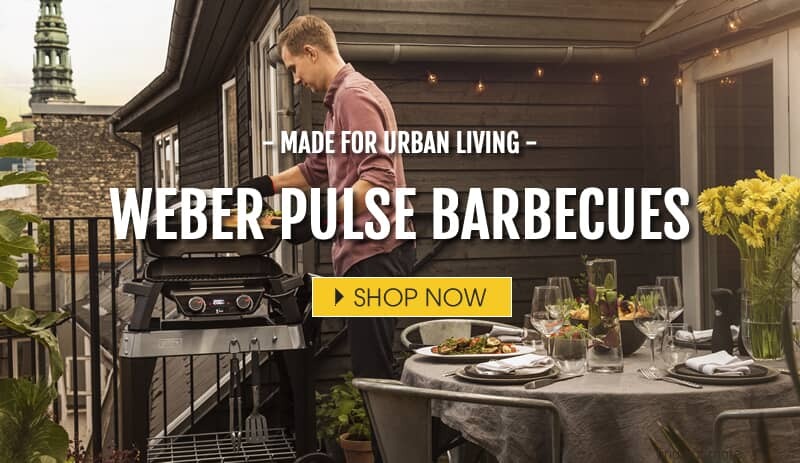 With a wide range of barbecue accessories and tools to help you make the most of your new purchase, BBQ World really is a one-stop barbecue shop for those who want to get serious about their outdoor entertaining. Our BBQs are delivered from us here in Lancashire, on the next working day, if you order before midday. Delivery is free on orders over �50 and all the prices you will find listed include VAT. At BBQWorld we want to do the best for our customers, so we will do our best to price match if you find one of our BBQs cheaper elsewhere. Just ask! Unsure about what kind of barbecue is best for you? Our friendly and knowledgeable team will be happy to answer your questions. For advice, simply give us a call our sales number on 01200 421010 or fill in our contact form. All our BBQ 's are delivered from us in Clitheroe, Lancashire and we aim to deliver the next working day if your order is placed before 3pm. All prices listed on our website include VAT and delivery is free on orders of more than £50. In the unlikely event that you find a BBQ listed elsewhere for cheaper, we will try to match that price. At BBQ World we have seen a continually growing desire by people to make the most of their living space by designing and creating their own ultimate outdoor kitchen to meet their own specifications using Built In barbecues and Built In furniture such as side burners, storage doors and drawers, sink units, fridges, warming drawers and tank storage units. Ordered this BBQ on Tuesday morning 22nd May and took delivery in Dublin Thursday morning 24th May as promised. Great service from Dawsons.BBQ easy to assemble and exactly as per photo. Looking forward to many years of grilling as our current Dancook BBQ smaller version was over 20 years old and still in good shape. Whatever the size of your garden and your cooking and food preferences, there are multiple barbecues and accessories that will be ideal for your outdoor dining and food preparation area. Whether you're cooking for you and your partner, or you regularly entertain large groups of people, you can opt for a charcoal or gas barbecue that not only has the cooking space you need, but also the features and cooking accessories to improve the whole dining experience. While the traditional griller will demand nothing but charcoal, the modern outdoor cook will prefer gas barbecues because of their convenience, ease of lighting, and how quickly they heat up, ready for use. Major manufacturers include Weber and Outback, Cobb and Buschbeck, and you can choose the size of barbecue, as well as design and additional features, to match your outdoor dining experience. 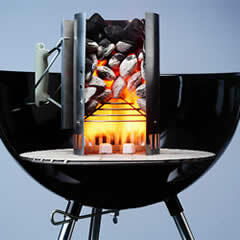 At BBQWorld we stock gas and charcoal barbecues. 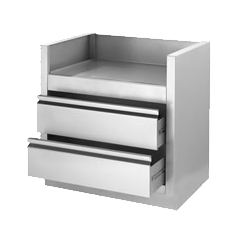 We have the latest models from major manufacturers, and we ensure that our prices remain competitive. We also have regular discounts and sales, and we provide free UK delivery on all orders over �50. Buy online, call with any questions, or visit us at Dawson's Department Store in Clitheroe or Skipton, where you can see our full homeware and gardenware range. 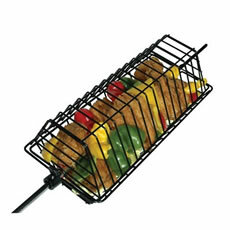 Gas barbecues are convenient and quick. Almost as soon as you turn the dial and ignite the burner, you can start cooking your favourite grilled food. Ensure that you have a bottle or gas, or even have your gas BBQ connected to the mains gas supply, making gas an even more convenient alternative to traditional charcoal. You can also enjoy greater freedom and flexibility when cooking. Most gas barbecues have multiple burners and heating areas, which means that you can have one area of the grill hotter than the rest, ideal for preparing different foods at the same time. 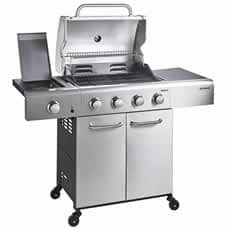 Gas barbecues tend to have lids, or hoods, because these retain the heat inside the barbecue. The hood may include a thermometer dial, which makes it easy to determine when the internal cooking temperature has reached the desired level. 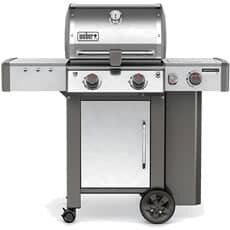 If you are looking for a large barbecue, then you will find that a lot of the bigger models are gas powered, although you can also find dual fuel models that offer the best of both worlds. For those that are worried about missing out on the authentic taste of a charcoal barbecue, you can buy smokers and wood chips to enhance the flavour, or you can opt for a model that has these features built in. 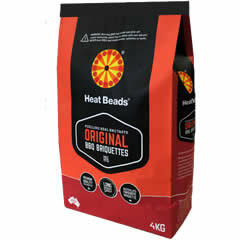 Add wood chips, which we also stock at BBQWorld, and you can replicate the charcoal barbecue flavour. For many, nothing will replace the traditional charcoal cooked flavour of a back garden barbecue. Some enjoy the preparation that it takes to get the barbecue ready, setting up the coals so that there are multiple and varied heating zones. 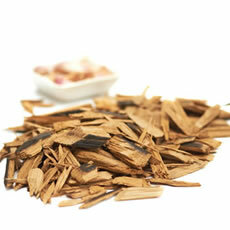 The smoked flavour is also very difficult to emulate, even with smokers and wood chips. Charcoal barbecues have come a long way, so while you can still buy durable kettle barbecues, you can also buy more innovative solutions. 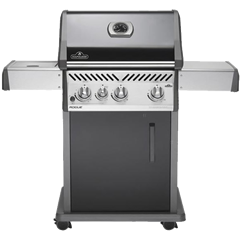 Many of the more advanced features, such as lid thermometers, that are available on gas barbecues can also be found on some of the luxury charcoal barbecue models, and if you're looking specifically for a portable barbecue then it is likely that you will be looking at gas barbecue models. Another benefit of the charcoal BBQ is budget. 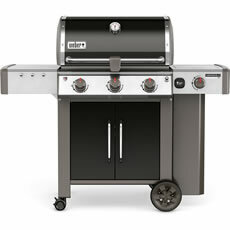 Gas barbecues are typically more expensive than a similarly sized charcoal barbecue. 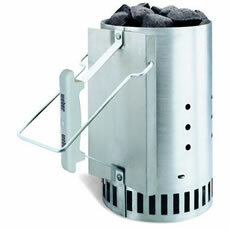 If you are restrained by budget then look at charcoal models because these offer the greatest benefits for the price. 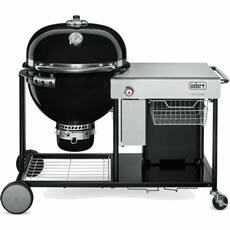 Dual fuel barbecues utilise both gas and charcoal. These often include a charcoal tray. Put the tray in the grill and add charcoal, and you can use these models to give the smoked, grilled flavour that you love. The gas burner acts as ignition, making it a lot simpler to get the barbecue going, but the charcoal in the tray is what is burned and gives smoky flavour to whatever you cook above it. Alternatively, remove the tray and you can use the gas burners and create a highly effective gas cooking machine. 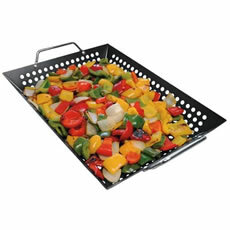 In some models, it is possible to combine the benefits of both because they have multiple heating areas and multiple charcoal baskets. 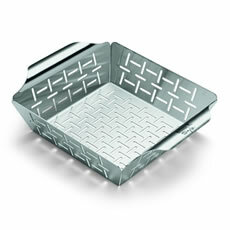 Leave one basket off the grill, adding only one of the baskets to your grill. You can use half of the cooking space for smoked burgers and steaks, and the other half for preparing any side dishes or for searing meat, which needs a constant and steady supply of heat. If you're serious about cooking and entertaining outdoors, then a built-in barbecue is the ultimate accessory. You can essentially create an outdoor kitchen, with fridges that are designed to be incorporated into the design, as well as a barbecue that has all the features you would expect from a kitchen based oven. You will need to ensure that the cooking area is well protected, because while these models are built to be robust and weatherproof, they will survive longer and continue to offer the best cooking results, if you can protect them from rain and the freezing cold. You can use a barbecue cover, and most built-in models have their own covers that are designed to fit snugly and securely over the grill. Freestanding models are more portable, and they can be wheeled into the shed and back out again, and they are easier to clean because they can be moved around. However, having a built-in barbecue means that you can add workspace and even storage units to your outdoor cooking area, truly making it an outdoor kitchen, and offering more than a freestanding unit can. As well as built-in barbecues, you can buy pizza ovens and fire pits. Cook exactly the type of meal you want, whenever you want. If you're the kind of person that prefers to barbecue on the go, either at a friend's house, at your caravan, or when you go away, then a portable BBQ is perfect. These models are small and lightweight, and while they might not be big enough to conquer a full meal for 8 people, they can be put in the boot of the car and taken almost anywhere. Barbecuing and enjoying food is a sociable event for many of us, so why restrict yourself to your own back garden? 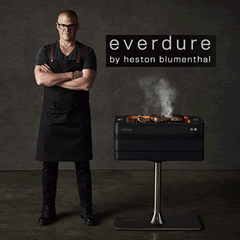 Getting the right barbecue is an important first step to enjoying outdoor dining and entertaining. However, the barbecue is only the start. 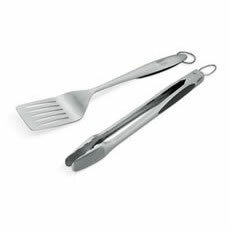 You will need to ensure that you have the accessories and other items that can enhance the cooking and enjoyment of your grill. Buy smokers and wood chips to fuel them. 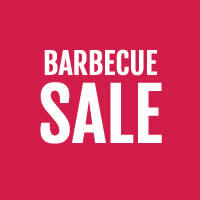 Stock up on cooking utensils that are designed for use with a barbecue. 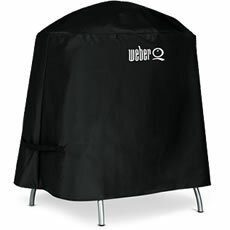 Buy replacement parts and spares, and procure the covers and protectors that can help to prolong the life of your barbecue. 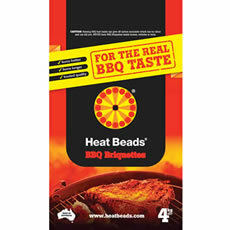 There are many accessories to help ensure that you get the most from your outdoor dining and we stock many of them here at BBQWorld. The barbecue is a British tradition, and while we might not be as fortunate as other countries in enjoying predictable, long summers, we still love nothing more than lighting the barbecue and cooking for friends and family. 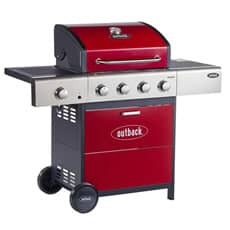 Whether you prefer the traditional charcoal barbecue or the convenient gas barbecue, and whether you want a built-in or freestanding barbecue, there are grills from some of the biggest names at BBQWorld. 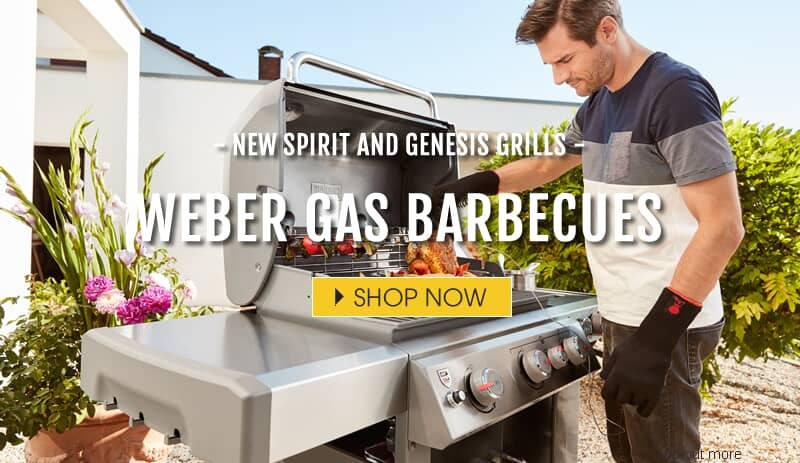 Buy on our website, call us with any questions about the barbecues that we sell, or call in to Dawson's Department Store where you can see every barbecue and accessory, and you can browse our full collection of homeware items. 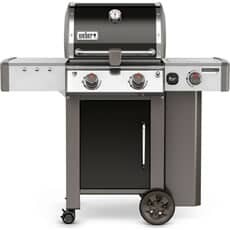 We can even offer interest free credit on some items, and we regularly feature grills in our discounted, clearance sale. You don't need to break your budget to get the right barbecue. 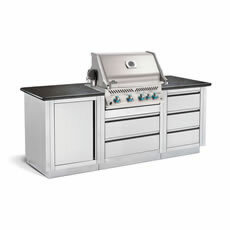 feature grills in our discounted clearance sale. You don't need to break your budget to enjoy access to a great quality outdoor appliance. We can even provide you with a fitted outdoor kitchen and accessories to give you the ultimate outdoor experience.